As summer is approaching you will probably spend more time at home with your family or even plan on going on a vacation. Whether you are at home or out, you should use technology to your benefit. Technology has revolutionized every aspect of household necessities. Everything from a washing machine to kitchen utensils is being updated each day. In order to make your summers relaxing and take some burden off of your shoulders, here is a list of incredible home gadgets that you should buy. Remember you need to work smart rather than working hard. If you plan on going on a vacation this summer, then smoke detectors are an absolute necessity that you should get installed in your house. While you are away, there are a million things that can go wrong; however, that does not mean you should stay at home. You should get all the necessary measures installed and have a wonderful time. While you may check the gas and take care of every possible way you can think fire can start, you can never be too careful. Sometimes a faulty device can cause considerable damage, or you may leave an electronic device near the window, and the constant heat can cause it to catch fire. Nest Protect is a recommendation that you should consider while looking for a smoke detector. An empty house is like a cookie jar for burglars. No matter how safe your neighborhood is, a problem can arise at any time. You should rather be safe than sorry. Motion sensors are a great way to keep an eye on what is happening at home once you are gone. If someone gets past your security cameras, the motion sensors are bound to detect movement in unauthorized places. As soon as they detect movement, they can send a signal to your phone, and you can ask your neighbor to check in. When you are back from vacation, your children are bound to spend a great deal of time at home during the day. This means a lot of lights would not be turned off and lots of fans would not be either. An energy monitor will detect unnecessary use of power throughout the house and alert to make sure that it is turned off. If you have got teenagers in the house, you should know that they love to experiment and drinking is something they are bound to try sooner or later. You cannot really blame them if they take some from your stash that is in front of them and I am sure that you can’t hide it from them either. A digitalized bottle cap can make sure that your teenagers would not be experimenting with your vintage wine collection this summer. Sick and tired of missing your shows because your children are on the TV all day long? Can’t find the complete episodes on Netflix or YouTube? Then this will surely get rid of your worries. IPTV can merely be called web TV. Through installing IPTV, you can watch any live show or previously recorded a show on any device that you want without anyone interrupting your leisure time. If you want further information as to how IPTV works browse at this site. With your kids in the house during the summer, it is impossible to keep an eye on them at all times. However, that should not compromise your child’s safety. You should buy a video doorbell so that even if you are not around, your children don’t go ahead and open the door to a total stranger if they can’t look through the peephole yet. A lot of robbery cases have this feature in common that a child ended up opening the door while the parent was in the washroom or in the laundry. You should install the video doorbell and tell your children only to open the door to people that they already know or ask you before they do so. Safety should be the first priority and children should be taught at home. 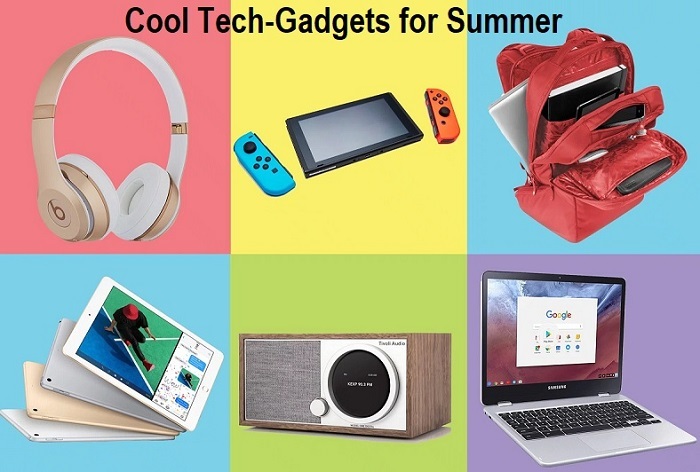 Once you have bought the gadgets mentioned above, you will get rid of at least half the stress that summer vacations bring with them. Summers are here for all of you to enjoy as a family so you should keep all the problems in front of you right now, figure out solutions and then get rid of them so you can enjoy your time. Good Luck!